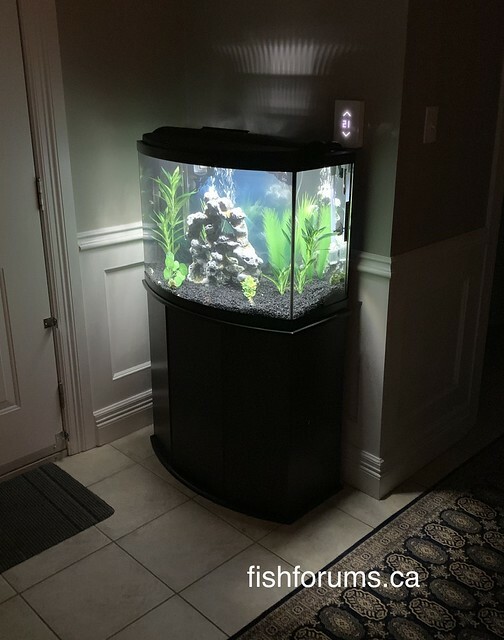 Just putting together a brand new 36 gallon bow front aquarium in the entryway of our home. This will likely be a hospital / quarantine tank for our main 125 gallon discus aquarium. Right now the setup includes the stock tank and stand, stock LED lighting, about 40 pounds of gravel and some decorations, with a bubbler. Will be be ordering the filter and heater soon. Eheim 150 watt heater added, and a Fluval 306 is on order.